This is the first of several installments concerning the contribution and origin of numerous breeds of cattle and their purposes for man. It doesn't include all breeds, as many are related and similar in type. Cattle are divided into two origins, those north of the Mediterranean are Bos Taurus and those south are scientifically classified at Bos Indicus. At an approximate date of Noah's flood of 2348 BC (Ussher date) the genetic seed stock walked off the Ark and multiplication begin. Of all the animals, cattle were of major assistance to human science and improved habitat existence. 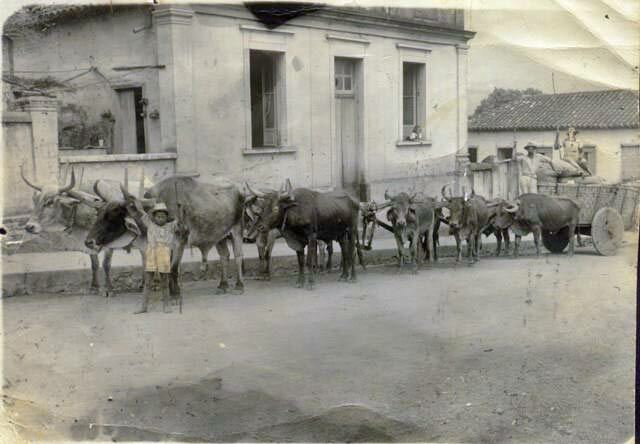 Originally cattle were used for beast of burden, trained pulling oxen and all forms of agricultural benefits. While pork, fowl, sheep and goats were major domestic food animals, cattle were considered more in the modern sense, like a tractor or piece of equipment. 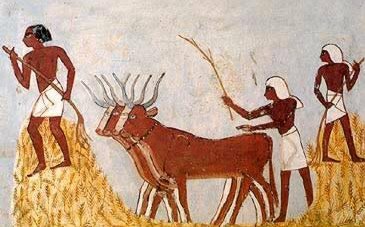 The final cattle service to man was to consume them for human food. For thousands of years cattle were basically pulling oxen including all steers, bulls and cows. As cattle multiplied for hundreds of years their importance increased wherever civilization developed, all over the world, cattle were needed. As they spent hundreds of years in different environments the cattle were selected on stamina, fertility and their ability to adapt to the area. Northern cattle developed more hair for cold weather insulation and the hot climate cattle bred toward slick short hair enabling them to withstand hot tropical weather. Cattle more adapted were more useful, could pull longer and had more stamina. Therefore cattle were selectively bred for any performance needed. Due to the world popularity of the Texas Longhorn breed of cattle most people believe the greatest cattle drives in history were from Texas to northern states during the late 1800s. History has other accounts. During the time of Alexander the Great (334 BC, the date he won the Battle of the Granicus River) the largest trail herds in history were assembled to follow his army. The greatest military of the era had to be fed well to fight well. (Napoleon said wars are won on soldiers stomachs) Although every student of Alexander disagrees on the numbers, his fighting men numbered between 150,000 and 1,000,000 men. That is a lot of food. Therefore, the food had to keep up with the battle, stay fresh and always be a supply ready when needed. These were no doubt the largest cattle trail drives in history. Cattle could pull war equipment and in the end become food for the battles. 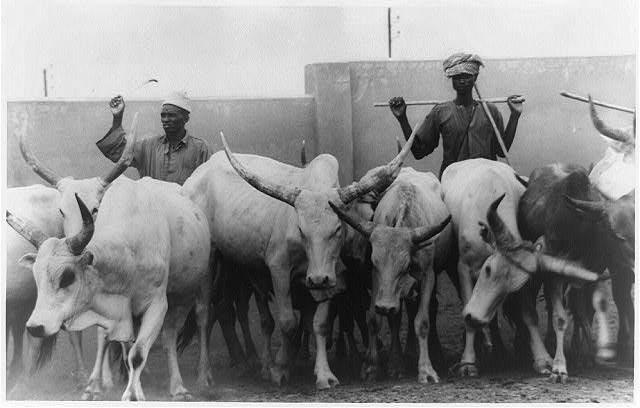 As cattle served the people, unique breeds were selectively bred to fit the need and the area. World cattle for the last 6000 years were bred for large horn for many reasons. With all documentation, 4/5ths of the cattle of history were used for oxen with horn being the necessary fixture to hold the yokes in place. In the Bible, Matthew 11:30 the Lord Jesus said, "My yoke is easy, and my burden is light." Using the terms of the day, large horn allowed a yoke to loosely fit and not slide forward over the head. 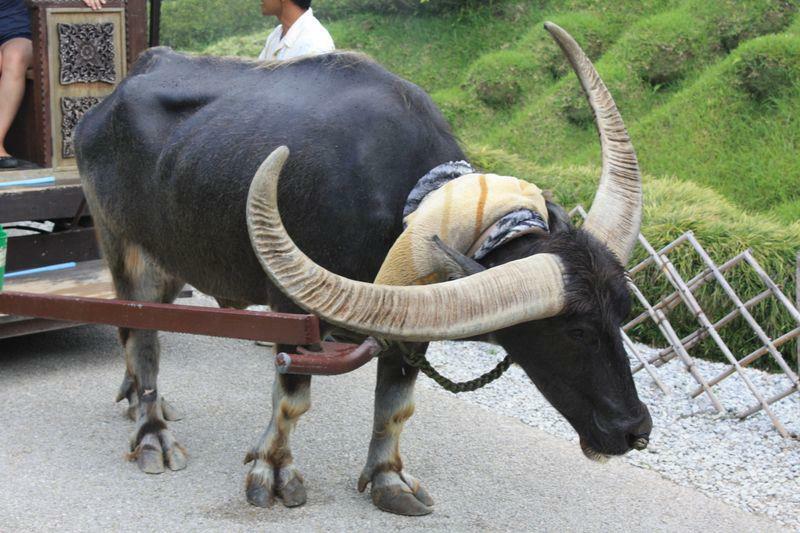 Therefore a loose yoke created less stress allowing more mileage for an ox. Horn was a necessary virtue for good genetics. 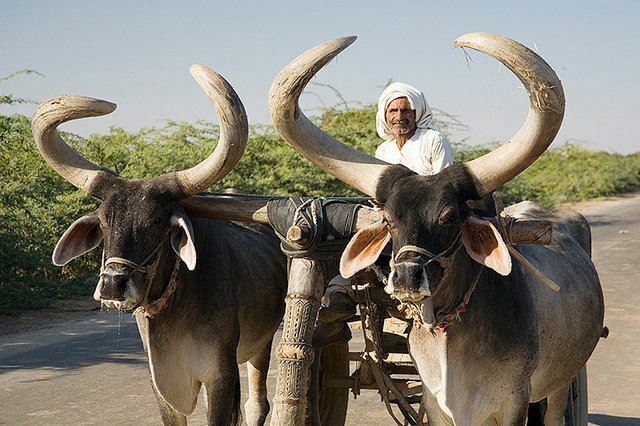 Until petroleum powered farm equipment was developed in the early 1900s, oxen were the tractors, the source of product handling and movement, the transportation of goods and provider of services. No fuel was required except non human consumable fibers of grasses and browse. This same source of power is still used all over the world and always will be. *Thanks to Fabio Gayer for research and graphics.